am absolutely obsessed with nail art. I don’t quite know when it started, but I am. 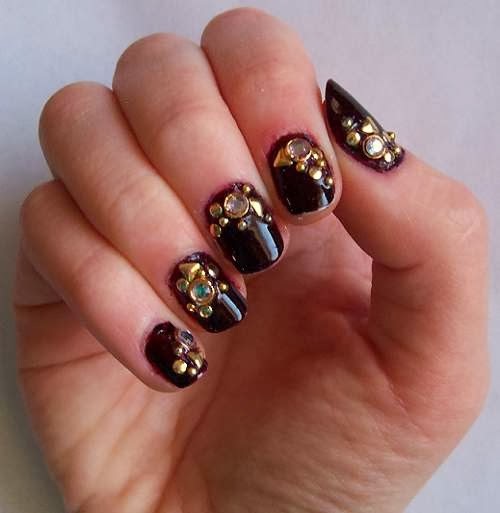 As a result, I am constantly eyeing up nail salons and even browsing online for nail art’spiration. So my friend Maddy and I decided to get our nails did in L.A. because, well, it’s L.A and I’m pretty sure that’s one of the things you need to do in L.A.
As I mentioned earlier, I’m obsessed with nail art so I also got my nails done just before I left Aukland. Sadly I didn’t get the gel option and they chipped nearly right away. though before that they were SO COOL. i got them based on these Kenzo ones. wow all so creative!! I love them all! !